Herceptin, a drug used to treat patients with breast cancer intravenously could soon be administered via injection. 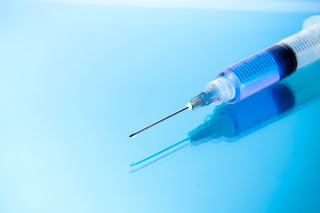 This would not only reduce patients 90 minute hospital visits, but could eventually lead to self-injection at home, which in turn will cut back on time and money for both pharmacies and hospitals. According to Roche, the manufacturer of trastuzumab, thesubcutaneous formulation uses a novel carrier of the active ingredient intrastuzumab. The carrier, recombinant human hyaluronidase (Drug information on hyaluronidase) (rHuPH20), can reversibly break downhyaluronan, a gel-like material that forms a barrier between cells in the skin,allowing for relatively painless delivery under the skin, even of a large volume. The current subcutaneous dose of trastuzumab is 5 mL. The Phase III Study also showed less side effects and almost the same results as the drip. Could Herceptin help set the precedent for other intravenous medications? Which medication do you think should be next? At the 17th Annual Drug Delivery Partnerships, not only will senior leadership from Genentech be in attendance, but leaders from the top pharma companies including Pfizer, Merck, AstraZenenca, Eli Lilly and Sanofi-aventis. At Drug Delivery Partnerships, hundreds of pharmaceutical and drug delivery thought leaders come together to develop partnerships to create the next great product that will bring relief to millions of patients. Sign up for updates on the 17th Annual Drug Delivery Partnerships Conference taking place February 6-8, 2012, in San Diego, CA.